Park Citys housing pool is aging. 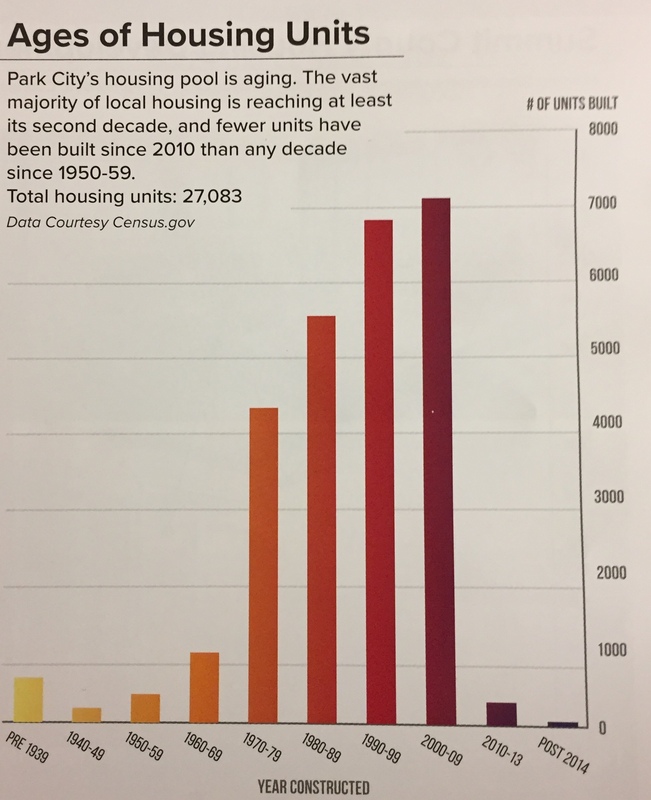 The majority of our housing is 20+ years old. 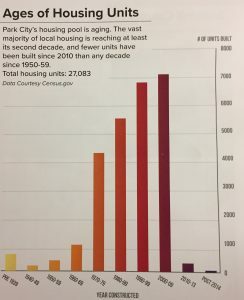 On top of that, there have been fewer new properties built since 2010 than any decade prior! However, there is an upside to this dated housing situation. More and more savvy buyers are moving toward the idea of renovating older properties. They can see opportunities available with an adaptive reuse strategy  and have the vision to transition older, traditional lodge and log properties into todays popular mountain-contemporary-modern designs. Park Citys real estate market is holding strong with an annual median appreciation rate of 8.8%. Now might be the right time if youre considering selling. Posted in Uncategorized | 0 Responses to "The Age of Park City Real Estate"